Dr. Claudio H. Pol graduated as Doctor of Medicine from the University of Buenos Aires (UBA) in 1984. He completed his Residency in General Surgery at San Isidro Hospital, rotating in his second year with the Surgery Service of the Bruchsal-Universitat Hospital, Heidelberg, Germany, with Doctors Thiele and von Behring. He graduated as a Specialist in General Surgery in 1990. 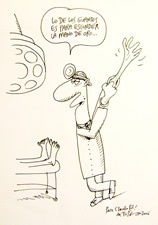 When he finished his training in Plastic, Aesthetic and Reconstructive Surgery at the Hospital de Clínicas of the University of Buenos Aires, he was selected by the Rotary Foundation of Rotary International as a Goodwill Ambassador for Argentina and he was granted a Schollarship for his professional improvement in Plastic Surgery at Emory University, Atlanta, USA, 1992-1993. He joined the Plastic Surgery Division of the Hospital de Clínicas, U.B.A., as a Specialist, developing the Aesthetic and Reconstructive Breast Surgery Department. Dr. Claudio Pol had his training in Microsurgery with Drs. Yu-Chuan and Poitevin (University of Texas – University of Buenos Aires) and with Dr. Evandro de Olivera in San Pablo, Brazil. He executed his teaching activities during all his career, being Professorship Assistant and Head of Surgery Practice Works at U.B.A. 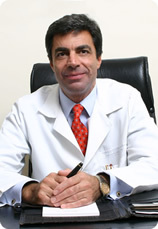 Since 1997 he is an Appointed Teacher to the Plastic Surgery Career at the University of Buenos Aires. He presented numerous scientific papers and performed as a speaker in Congresses of the Specialty.